This week I happened upon some assorted heirloom eggplant varieties at the local farmer's market. They were from two separate farms in New York and Connecticut. After having some unfortunate eggplant experiences in my early days of cooking I was leery of tiny eggplant, however, recent eggplant that I have sampled has been fantastic, most recently with these fairy tale eggplant from a local farmer's market. 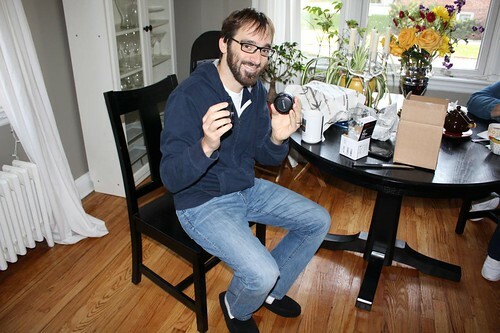 Another thing that happened this weekend is that my parents got me a new lens for my camera (for my birthday). So tonight was my inaugural run with the new close up lens. Someone with my photography skills in no way deserves a second lens. But I have one, so there you have it. 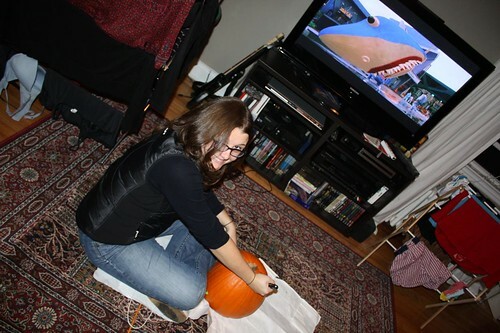 Last night Jen carved a pumpkin while we watched the Back to the Future Trilogy. 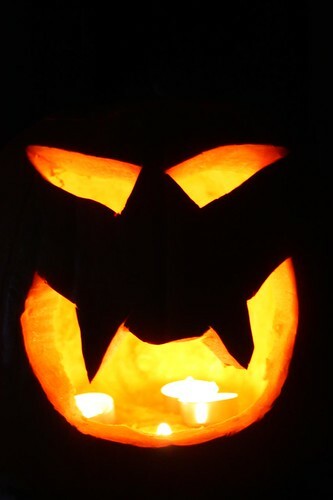 It may have been one of the best Halloweens ever for that very reason. 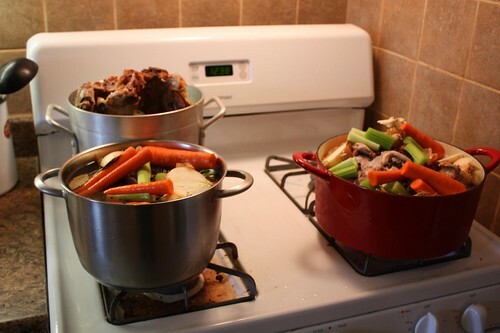 I also spent the entire day making turkey stock out of the bones leftover from Canadian Thanksgiving. 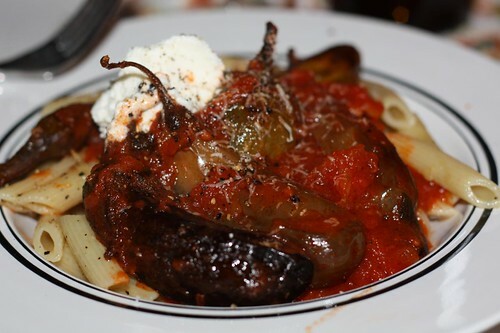 One of Jen's favorite pasta dishes of all time is Pasta alla Norma, her favorite being from Plum Pomidor in our old neighborhood. Seeing that it is her favorite I decided to use these eggplant to make a bastardized version of Pasta alla Norma. What I did was roast them in the oven with a little olive oil, salt, and pepper, until they were tender. Then I added some tomato sauce and stewed them down. I finished it all off over penne with a dollop of ricotta cheese. I cooked the penne then tossed it with olive oil, pepper, and some roasted garlic. For wine I opened an extremely cheap bottle of French red to discover it was corked. This happens fairly frequently. 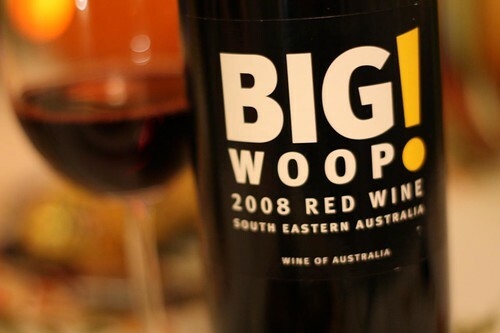 After that I moved onto some Big Woop! from Australia. This was a screw top bottle and was very tasty. I think I may just stop buying wine with corks in it. Even for cheap bottles it's a gamble and when you purchase anything over the $20 mark (which is unusual for us) you are playing with fire. Screw tops may not give you wine cred but I've also never had a screw top go bad on me. That's a trade off I'm happy to make.